The official weigh-in ahead of Saturday night’s “Slugfest at the SUN”, live from the Mohegan Sun Arena. The night features seven bouts. 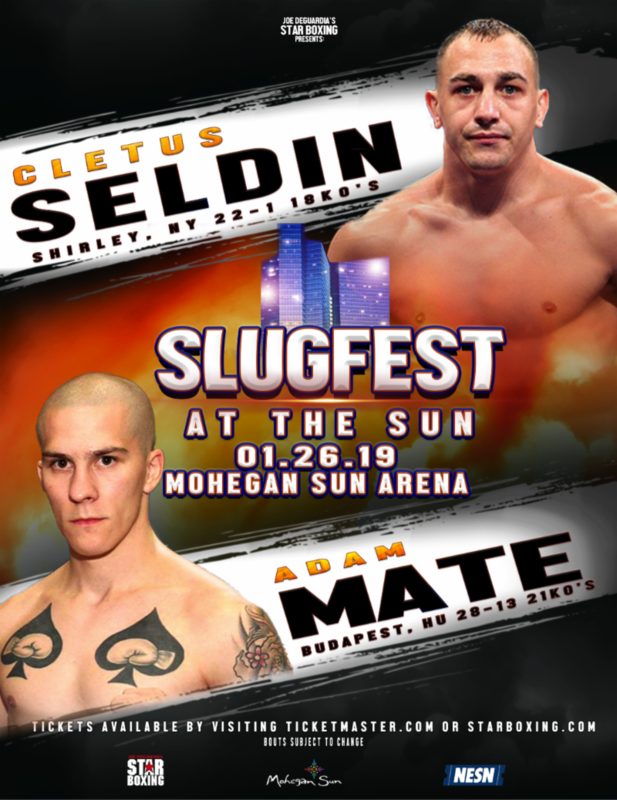 The main event features feared knockout artist, CLETUS “THE HEBREW HAMMER” SELDIN, as he takes on power punching Hungarian, ADAM MATE. In the co-feature bout, undefeated New England sensation “ACTION” ANTHONY LAUREANO, returns home to take on RONALD RIVAS. Undefeated French phenom DAVID PAPOT looks to make his mark in the states against the always tough COURTNEY “KING PENN” PENNINGTON” of Brooklyn. Also highlighted on the undercard are New England prospects, JACOB MARRERO, NATHAN MARTINEZ and WILLIAM FOSTER. 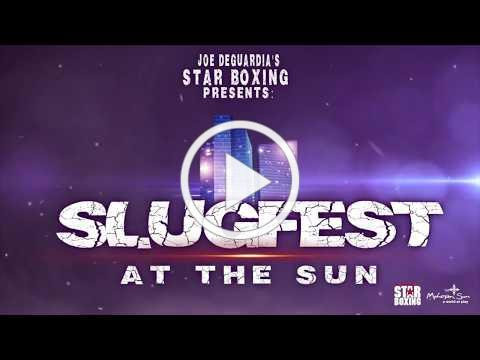 Joe DeGuardia’s Star Boxing “SLUGFEST at the SUN” series is the a premier professional boxing experience in Connecticut. Live from the beautiful Mohegan Sun Arena, “SLUGFEST at the SUN” has seen some of the best and brightest in boxing. This includes, two-time world champion Demetrius “Boo Boo” Andrade, former WBC International Light Heavyweight champion Joe Smith Jr. world title challenger Delvin Rodriguez, amongst many others.